This creates a dual demand base for the metal from both investors and from the manufacturing and industrial community. A less expensive cousin than gold, silver offers investors many of the same properties as gold including portfolio diversification and a hedge against in inflation as gold and silver typically trend in the same direction. Silver attracts nearly 50% of its demand from industrial buyers for use in electronics, autos, nano silver applications, medical devices and solar panels. Both the electronics and solar panel industries that use silver are expected to grow strongly, triggering even stronger demand. The world uses more silver than it produces. 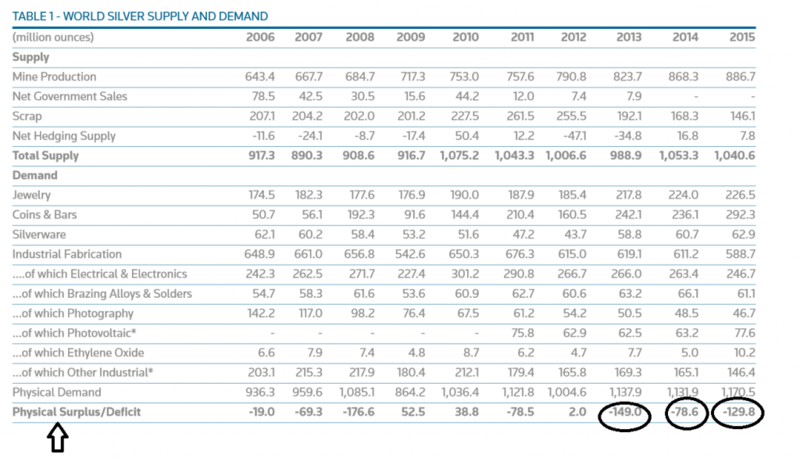 The silver supply deficit may be one of the most overlooked and most positive factors for the metal ahead. Older silver mines have been producing less. And, there has been less interest in exploration for new silver mines amid the lower current price level for silver. It's historically cheap: Spot silver at around $17.90 an ounce currently is well below the all-time high at $49.51 an ounce in 2011. That sets the market up for a potential supply squeeze amid forecasts for rising demand from both the investment and industrial side. Copper prices, another widely used industrial metal are also up sharply since the start of 2017. Copper is a key building component across a broad array of uses from construction to wiring, plumbing, heating and cooling and automobiles. This metal has earned the nickname: Dr. Copper – due it its ability to presage global economic activity. Typically, rising copper prices signal rising global economic activity ahead. That adds up to more inflation and is bullish for both bold and silver. The current technical chart pattern for silver is stronger than gold. The silver market is trading above its 50-day and 100-day moving averages, which are bullish signals for trend following traders. Buying tactics: Spot silver is currently trading around $17.90 an ounce. Short-term retreats to the 17.50 an ounce or $17.25 an ounce zone would offer good buying opportunities for long-term investors if silver sees a price pullback. Looking ahead, silver prices are expected to rise toward $18.21 an ounce in 2017 and $20.21 an ounce in 2018, according to a BofA Merrill Lynch Global Research report. Blanchard and Company has advised individual investors on tangible asset purchases for over 40 years. We believe that gold and silver bullion in physical form is an appropriate asset for a small portion of any properly diversified investment portfolio. Contact Blanchard at 1-800-880-4653.